Comments: 5 bands SSB & CW. Carried out by the Royal Jordanian Amateur Radio Society in celebration of HM JY1 44th birthday Nov 14,1979. Saudi Arabia/Iraq Neut. 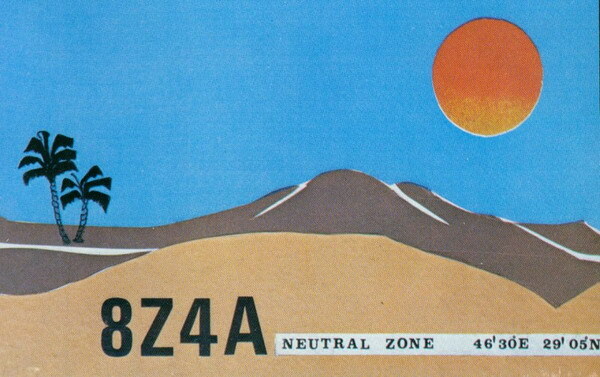 Zone is a deleted DXCC entity. Only contacts made December 25, 1981, and before, count for this entity.